Click to view Chad's talks for youth firesides. 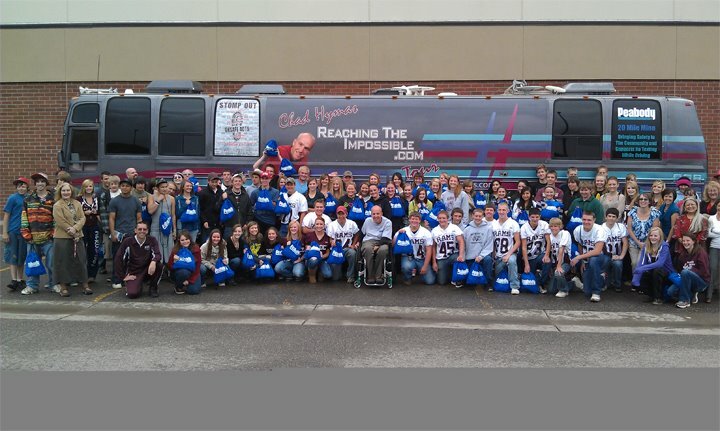 Click for information on Chad's "Distracted Driving" assembly. 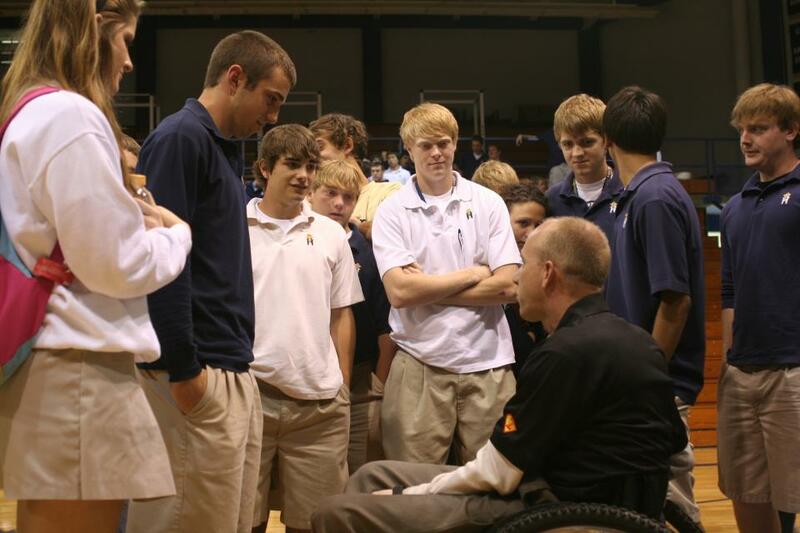 Chad has presented his “Choices” program in thousands of public schools throughout the United States. His message is designed to provoke students to reflect upon their current values and make an honest assessment of where they are in their development as citizens, students, and people. “Hard work and effort may get you to the top, but it’s your character that will keep you there.” Top educators have positively endorsed Chad’s presentation at assemblies, conferences, and seminars. If you need an assembly program with a real message, you will hit the mark! Geared toward youth of all ages, this high-energy presentation is a how-to program. It helps young people to understand and deal with peer pressure, how to build and maintain self-esteem, how to set and achieve goals, and how to stay positive around negative people. Utilizing humor and audience participation, Chad gets everyone involved. This is a great program for school assemblies and leadership conferences. This program for school assemblies targets peer pressure, bullying, and making choices (including drugs and alcohol and tobacco), self-belief, goal setting, motivation, and the importance of leadership. All Chad’s programs are sprinkled with good, clean humor to enhance acceptance by the audience. He wows his audiences with true life stories, helping them can relate to what is being said and connecting it to life. Chad takes the young people on a rollercoaster ride from laughter to serious, silent thinking, to keeping them involved with audience participation. Teachers today must deal with behavior issues, sometimes involving both the student and parents. They must continually be motivating their students to perform to the utmost of their ability. Nothing will motivate and stimulate your staff like Chad Hymas. Chad provides a fresh approach to routine training seminars and conventions. Your staff will be supercharged before they return to their classrooms. When one realizes that “the servant cannot be better than the master,” it will promote a paradigm change. A change that will propel your staff to raise their own standards before they insist that their students raise theirs. Schedule Chad for your next in-service days. You will not be disappointed! This workshop consists of hands-on learning about communication, conflict resolution, team building, and the understanding of how personality and attitude affect their daily lives. This workshop targets teamwork, effective leadership skills, communication, conflict resolution, and a personality self-evaluation. Teachers will learn about themselves by learning about personality and attitude and how they change what happens to them daily. We also look at the importance of communication skills and explore how bad we are at communication and how we can improve. Then we put all these skills together as we learn how to become team players and use our leadership skills to become the people we are capable of being.